After seeing those pictures that come and go on the internet showing the correlation between the way food looks and the part of the body it is especially good for if eaten, I often find myself doing the same when I look at food. 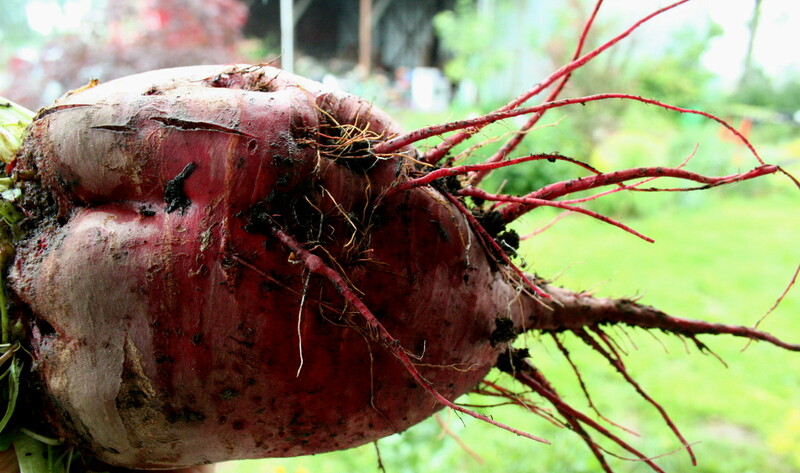 When I saw this giant beet, the result of what we now know is the miracle of growing food under plastic in spring, new to us this year but quite nice as it turns out after all the hemming and hawing that took place deciding to bring this into our farming picture, my first thought was that it looked like a heart. That I should eat it, right then, for my heart. 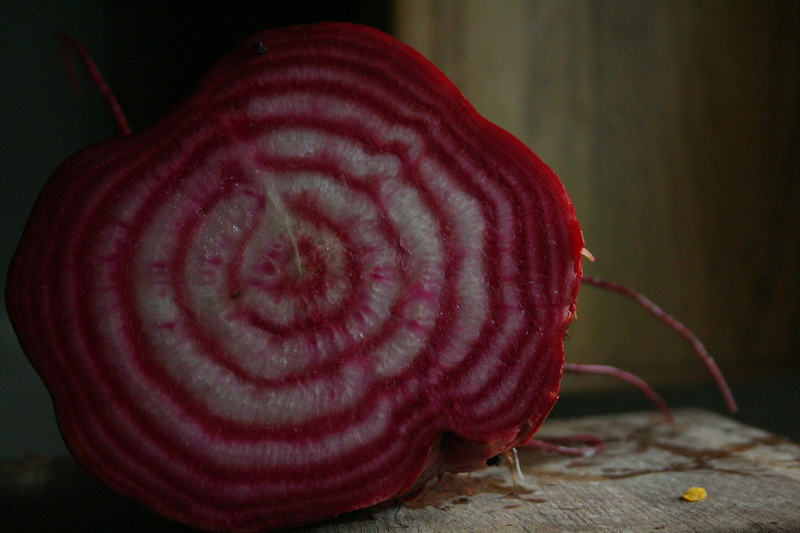 True, or not, we sliced this beauty up and roasted the whole thing, and I did end up eating almost it all myself, right then, since not everyone on this farm loves roasted beets like I do. And I did feel that my heart was filled, in more ways than one. 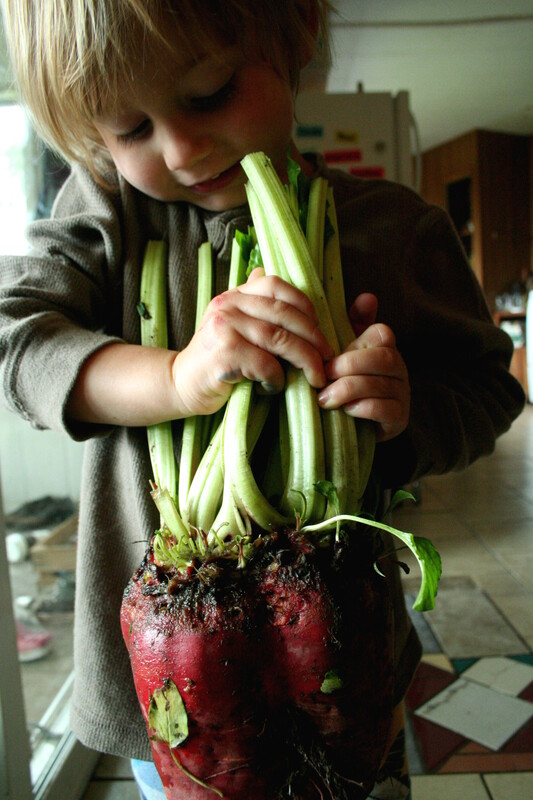 The little boy wanted to help slice it, not easy since beets are pretty solid pieces of root food, but we pretended. We had fun. We looked at the surprising inside design of this heirloom variety. We marvelled, together. I took photos. Our oldest boy, my visual artist, took photos too. And my mind strung together thoughts. Theories on feeding your family well and with joy, and on the need for a healthy, loving approach to food, free from fear. I played with words, with phrases like, eating with you heart and food for your heart-beet. But in my heart, I know that modern day diet theories are a sticky issue. One I prefer to stay out of, mostly, besides shout outs about the obvious things, like DOWN WITH MONSANTO! Truly, though, I lament the fact that it is all so complicated. Complicated, more than anything, by the fact that there is a whole food industry that many of our human kin rely on to feed themselves that appears to care nothing at all about really feeding us. A food industry that not only appears to not care about that seemingly significant idea in regards to food, but also doesn’t seem to care that they are quietly (and sometimes loudly) making us and the land and all the other creatures around us sick instead. And for so many of us, sick and wanting to feel better, or simply fed up with eating from the hands that bind us, look around for something better. A little blind, we seek and grasp for a way, but we are not really sure what that is because that ship has long since sailed. We have lots of ideas, but lots of them are different from each other. And so much fear surrounds us because of this, fear of eating the wrong way, that we still don’t eat the right way because we feel confused, unsure, and mabye not better. And to hope to fix this broken machine seems mildly hopeless, making it all the worse. I have my own theories for my own family, but I like to keep them as such, theories. They work for us and stem from our own personal experience with our own personal bodies and health. I know what makes me sick, not just physically, but mentally and emotionally, as well as what makes my children’s bodies out of whack, and their minds and spirits. We come from a long line of food allergies and we have our own set of things to consider. So, we do. But getting to that point, the point of knowing what works for you and what doesn’t, of where and how to source the food that will really feed you the best, personally, isn’t easy. And so, to say you should eat with your heart doesn’t really work at all for most of us, unless we have already cleared a lot of the post-modern cobwebs out from inside, and can hear, loudly enough, that beating vessel for what it wants to tell us. Thinking about this mess, it struck me that we do, indeed, have something we can all agree on, something we can all do without fear or worry or confusion. That the easiest, simplest, truest thing that can be said about eating and thriving and feeding ourselves well and whole, without complication, is this–eating fresh, bright, and beautiful vegetables, in abundance, is the right place to start. Whether you plant your own small (or large) garden and eat your own harvests, or you head to a farmer’s market, easy to find these days, and eat the harvests of other farmers like us, or even if you just go to the regular market and look for the brightest, most beautiful, and fresh looking produce you can find and bring it home, this is the place to start. Eat them, everyday in every way. This is a powerful and fulfilling way to eat no matter anything else. Or so my heart and head decided, stewing about this all, beet in hand and then in tummy, the other day. I know, without a doubt, that this food feeds the whole me. And the whole you probably wants a bite of this beauty too, this vibrant, healthy, uncomplicated, sweet kind of food. There is little bad you can say about the humble vegetable class. Besides the sometimes unpleasant flavor of less than fresh broccoli, it is all good. This, I feel sure about, even in a time when sure is hard to come by. So. Eat Your Veggies! With love. ← News! News! Market Credit/Shares Now Available! 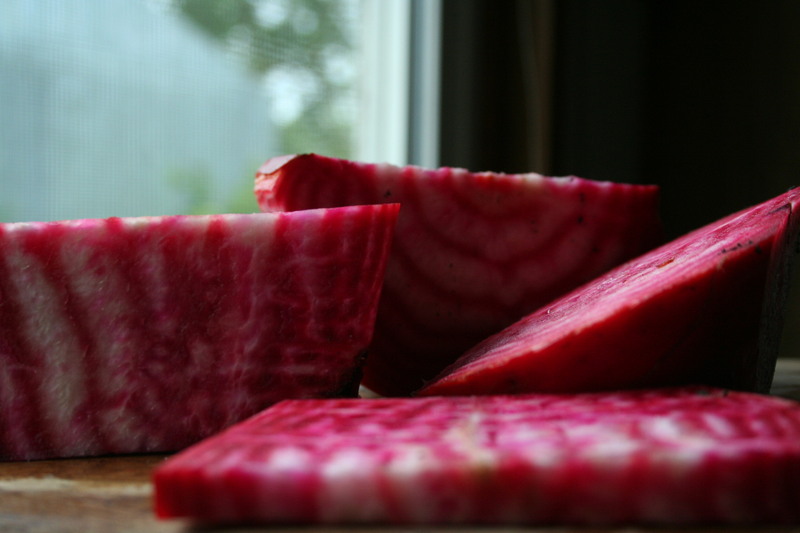 I never knew I liked beets until I started eating yours! I agree with you, eating fresh vege is a very powerful thing – the consumer runs the market too, it is good to know that even if we aren’t all able to become involved in the activist side we can speak with our feet. Hearteningly there are companies every day, big companies, that look at their falling profits and make the change. 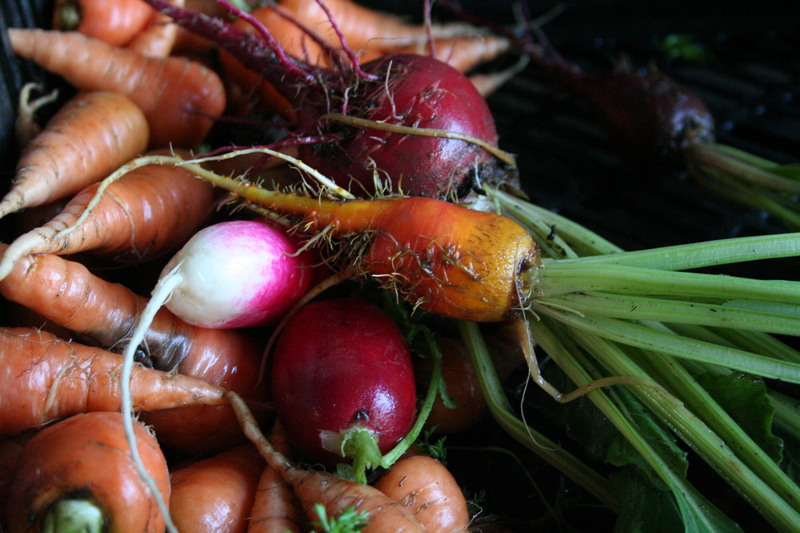 Even if we can’t afford to buy all the components of a wonderful diet, vegetables are vital!